It’s been a big year for biotech companies. A big number of biotech IPOs debuted on the stock market this year. 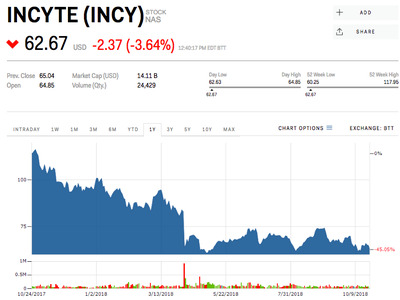 Yet biotech stocks have declined this year as investors soured on the sector and amid concerns about rising interest rates, according to a Goldman Sachs report released Wednesday. With so many companies to choose from, here are the ones Goldman recommends owning. 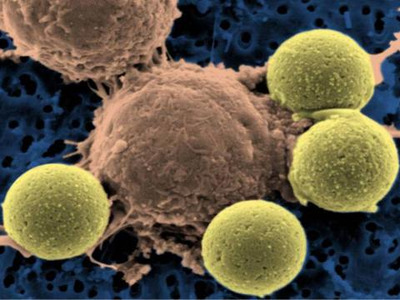 University of Pennsylvania via Microbe World / FlickrIn this 2011 image, tiny beads (yellow) are used to force T-cells to divide before they are given to leukemia patients. Cambridge-based company Bluebird Bio is a clinical stage company that develops gene therapies for genetic diseases and T cell-based immunotherapies. Goldman is expecting a first look at early-stage data for Bluebird’s bb21217 treatment for multiple myeloma, a form of blood cancer, in December. Get the latest BLUE stock quote here. 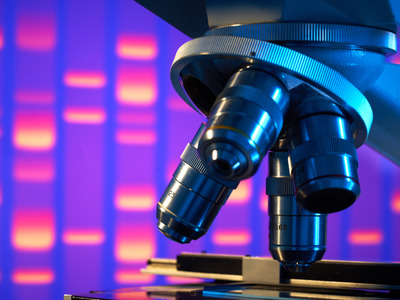 BioMarin focuses on developing treatments for rare diseases. It’s expected to report third quarter results this week. Goldman also said treatments with potential include vosoritide (treats achondroplasia, a type of short-limbed dwarfism), val-rox (hemophilia A gene therapy), and BMN250 (treats Sanfilippo Syndrome B). 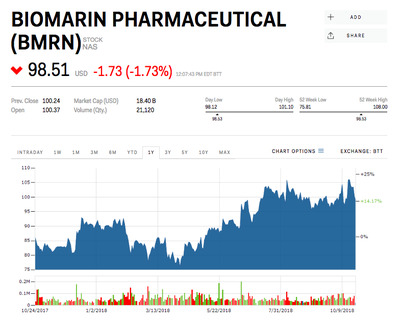 Get the latest BMRN stock here. 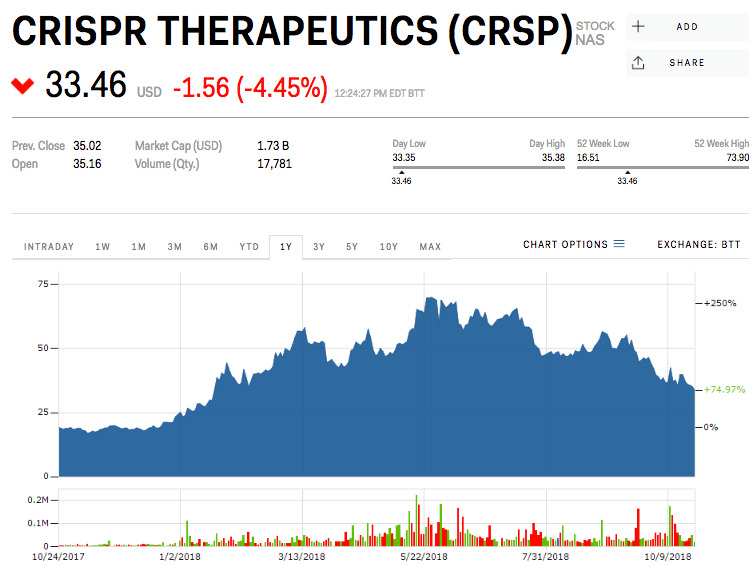 CRISPR Therapeutics is using the CRISPR/Cas9 complex to edit genes and has programs in sickle cell disease, immuno-oncology, and regenerative medicines. 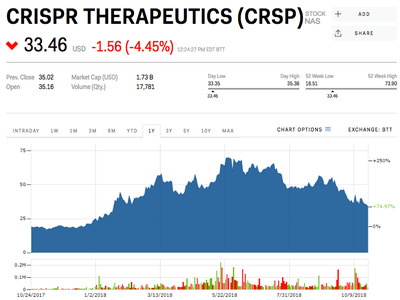 Get the latest CRSP stock here. GW Pharmaceuticals is known for using a marijuana-based drug to help treat multiple sclerosis. Goldman is positive about the company’s fall launch of Epidiolex, which is a marijuana-based product for certain types of epilepsy. 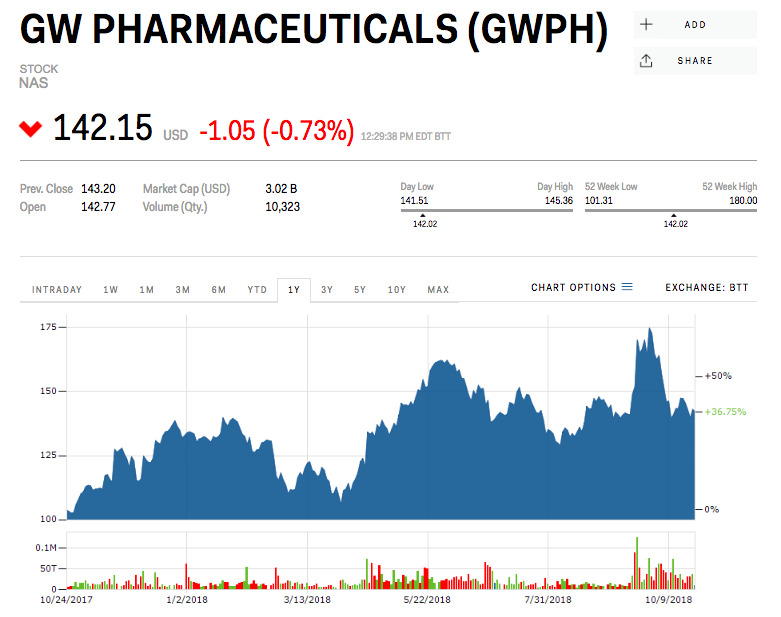 Get the latest GWPH stock here. 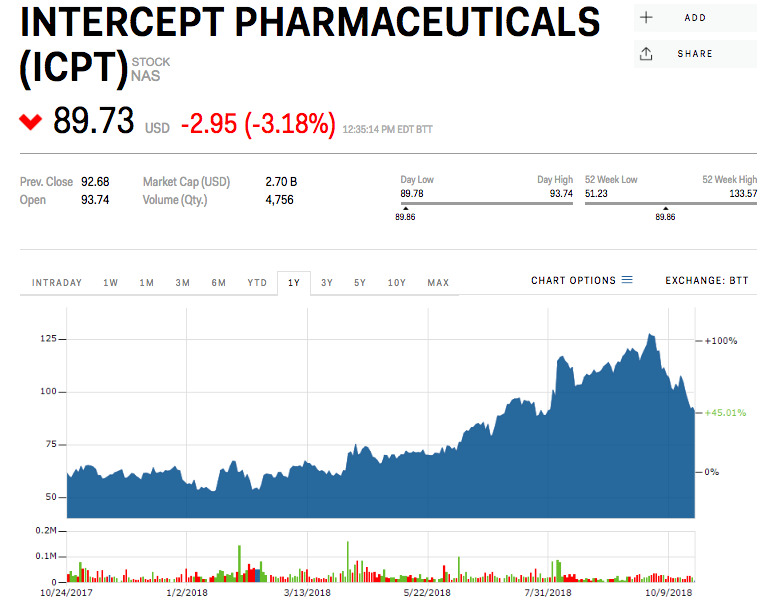 Intercept Pharmaceuticals develops treatments for patients with liver diseases. The company’s drug Ocaliva remains the key driver of growth. Further, Goldman expects positive phase 3 results from a trial of the drug in patients with cirrhosis who aren’t showing symptoms of the liver disease yet. Get the latest ICPT stock here. Incyte offers the drug Jakafi in the US to treats a bone marrow disorder called myelofibrosis and a type of blood cancer. Goldman has faith in INCY’s diverse clinical portfolio and three New Drug Applications expected in the next 12-18 months. 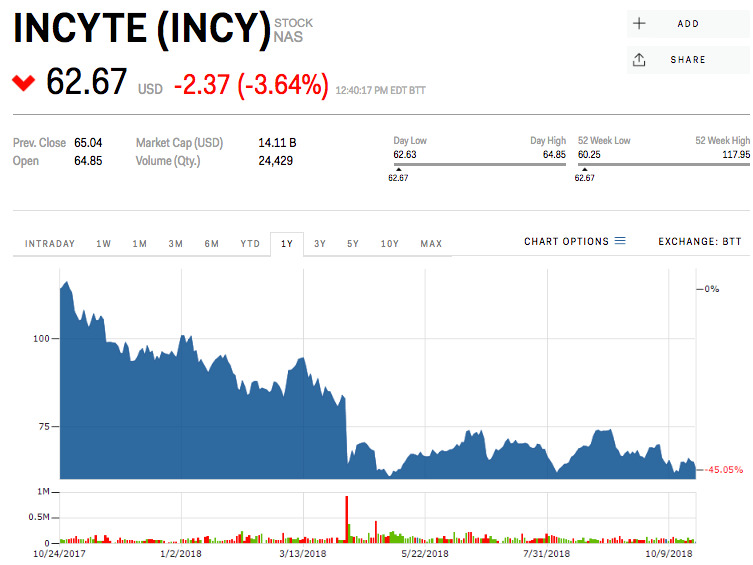 Get the latest INCY stock here. Sarepta Therapeutics focuses on developing treatments for rare neuromuscular diseases. 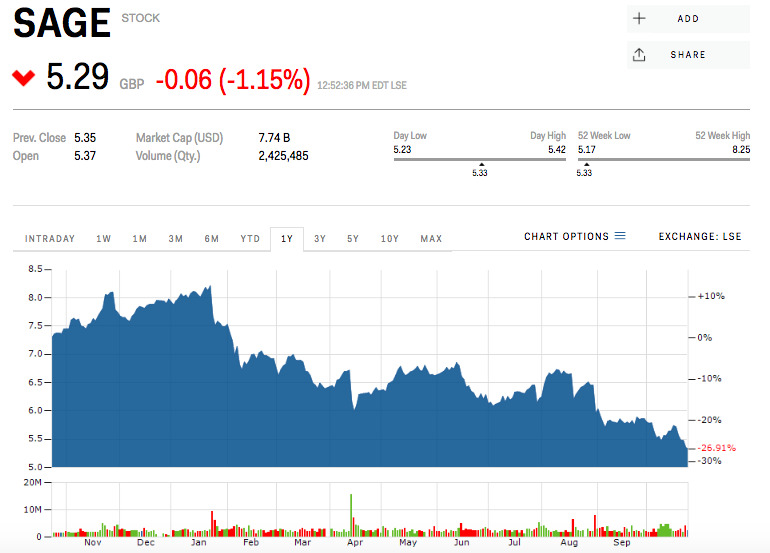 Goldman predicts sales will continue to remain high for Exondys, the company’s treatment for Duchenne muscular dystrophy, and it will continue advancing its pipeline for treatments of rare disease. 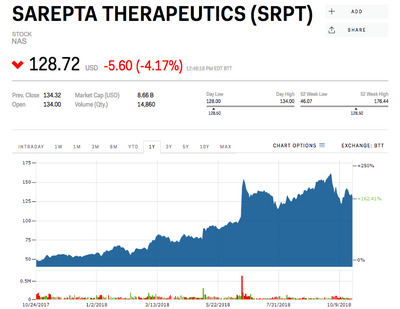 Get the latest SRPT stock here. SAGE Therapeutics focuses on developing treatments for central nervous system disorders. Goldman expects a positive FDA advisory committee outcome in November for brexanolone, which treats postpartum depression. It also expects positive phase 3 results for a different treatment for the condition before the end of the year. Get the latest SAGE stock here.